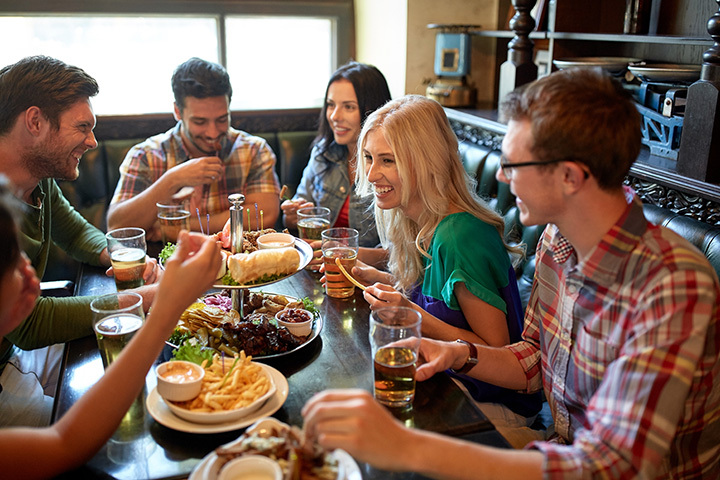 If you’re looking to wind down with some friends after a long week, heading to a Utah pub is the way to go. Across the state, you’ll find authentic pubs serving up cold drinks and delicious pub fare. Here are the 10 best. The very first brewery in Utah, Wasatch Brew Pub has been around since 1988. Brewpubs weren’t even legal until 1988, when Greg Schirf (the owner of Wasatch Brew Pub) proposed a bill to the Utah Legislature that made them legal. The result? Award-winning beers with funny names and an awesome community vibe at the pub’s Park City location. You now have a reason to indulge in some #Dessert and #CraftBeer! @WasatchBeers and @SquattersBeers are featuring #DessertForTheDesert to support the #SouthernUtahWildernessAlliance. The #GuiltFreeDessert campaign will run the entire month of April, but don't forget that tomorrow is #NationalBeerDay, so it may be the perfect excuse! First opened in 1988 at the mouth of Big Cottonwood Canyon, Porcupine Pub and Grille is a gathering place for skiers, mountain bikers, and outdoor enthusiasts of all kinds. And although the restaurant is technically a pub, it is also family friendly. With a delicious and locally sourced menu and a warm, inviting atmosphere, the restaurant is the perfect mixture of great brews and great food. As with most Utah pubs, Poplar Street Pub is located in the state’s capital. Known for its Sunday brunch and selection of hamburgers, the pub also sells hand-made pizza and appetizers. If you want cold beer and a hot, straight from the oven pizza, this is your place. Always counting down to St. Patrick’s Day, Piper Down Pub claims to be a “true Old Worlde pub experience.” And if that’s what you’re looking for, this place does not disappoint. With loads of performing acts, an amazing European atmosphere, delicious grub, and any drink you could imagine, Piper Down Pub is truly unique. Unlike Piper Down Pub, Bout Time Pub & Grub is focused on highlighting the American pub experience. This means football (American football, that is), juicy burgers, and all the American beers you know and love. With locations in Salt Lake City, Park City, and the Salt Lake City International Airport, Squatters Pub & Brewery is a true Utah classic, at least when it comes to high-quality beer. That said, Squatters isn’t predictable. Its food is creative, its beers are smooth, and its record is practically unbeatable. This downtown Salt Lake City pub is reliable, one-of-a-kind, and indisputably homey. It has a huge selection of beers, delicious sandwiches (among other notable menu items) and feels like the quintessential pub next door. One of the pub’s distinguishing features is its ice rail that will keep your beer cold, no ice cubes required. The Hog Wallow Pub specializes in traditional bar food, sandwiches, burgers, and (of course) beer. Somewhat of an anomaly, the pub takes you to back to the “good old days,” whatever that may mean for you. The Green Pig: a vibrant, clean, and comfortable place to get a drink on the weekend. It isn’t the hippest place around, nor is it the most old-fashioned. It’s a nice mix of cool and tradition and is centrally located in Salt Lake City. And the food? It is plenty and flavorful. It’s not usual you find a high-quality pub in the middle of the southern Utah desert, but this spot is a must-visit. And while pub’s main draw is its food (burgers, pulled pork sandwiches, nachos, wings, etc.) it’s a great place to unwind after a long day hiking or biking. The best part? It doesn’t feel touristy in the slightest.